This officially licensed deluxe decorated bib makes it easy for any baby to join the party! 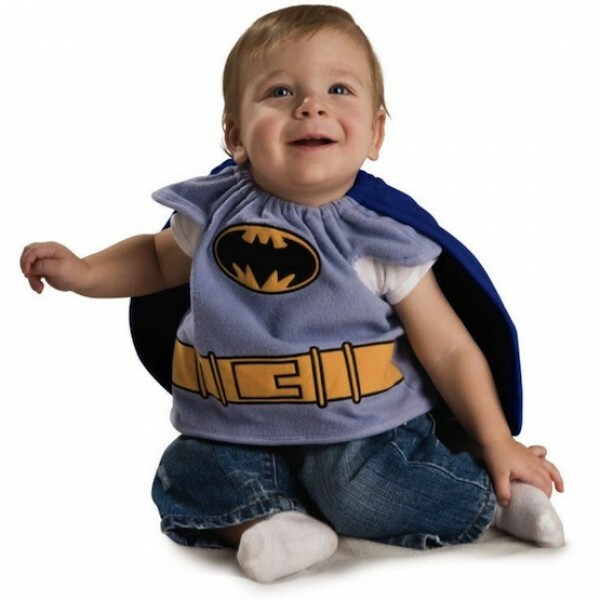 The gray polyester bib is printed with the bat wing symbol and utility belt and features an attached cape. Great for a little Justice League fan! For more costumes, visit the Costumes for Mighty Girls section.